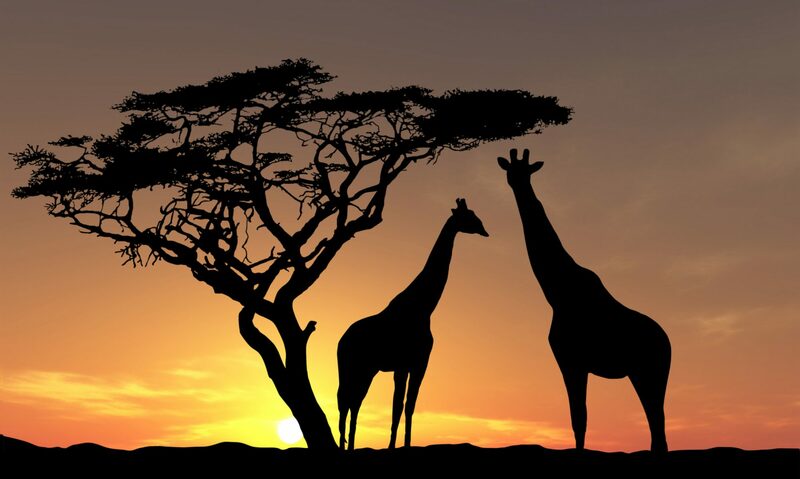 Are you a fan of Africa? Or maybe a fan of African wildlife? We assure you you’ve come to the right place. Our web page is nothing but a product of our deep passion for African landscapes and the large variety of animal life on the Continent. We would like to share our passion for African wildlife and Safari with all of our fellow readers. As you probably already know, Africa is situated in the Afrotropical region, equally away from both south and north which makes it the perfect continent for rich and fantastic fauna. Starting with insects, there are more than 100.000 insect species who inhabit Africa at the moment. Furthermore, there are over 3.000 freshwater fish species, over 2.600 birds and 1.100 mammal species in Africa. There are probably much more, but are still unknown for us. African fauna was a great mystery until the last couple of decades when people started exploring more and discovering the wildlife we know today. It is still a purpose of many scientists’ researches and explorations. Africa is thought to be the oldest Earth’s land, but it seems like we know so little about it even though it’s been her for so long. One of the, at the moment, most popular ways to truly explore Africa is kayaking through the diverse landscapes of Africa. Since it’s becoming more and more popular, there is a great number of kayaking packages for tourists and visitors. Kind staff will help you pick the perfect one for you in order to fully enjoy your excursion. Dive into the stunning and breathtaking experiences Africa has to offer! We’re sure you’ve seen a lot of documentaries about it. So you probably know how dangerous and mysterious it can get in the Savanna. But, it’s not the reason not to visit – just the opposite. This kind of immense beauty mixed with thrill and adventure you can’t get anywhere else in the world. You can be sure about that! The best way to explore wildlife is definitely Safari. In the past, the word Safari had a very bad connotation since it usually meant wild hunting. But today, Safari is nothing but the most fabulous way to explore and observe wildlife. It is special because it offers you a chance to watch the wildlife and animals in their natural habitat. There are thousands of available tour packages on market. So, make sure to do your homework research before you choose the one that fits you the most. Both you and your budget. It’s also important to note that the most expensive ones are not always the best ones you can get. We already told you how popular is this kind of tourism getting in the last few years. Today is closely connected with Eco and sustainable tourism. During your exploration of the wildlife, make sure you take some incredible photos, and tag them with #africawildlife for a chance to get featured on our webpage. Apart from touristic, Safari has an incredible recreational aspect and is known as a great relaxation for both body and mind. Sounds quite contradictory, right? The relaxation coming from the thrilling adventures like Safari can’t be described using words. You must try it in order to understand it. And to fall completely in love with it! Wildlife tourism can also disturb animals in the wild. So it is extremely important to be careful and thoughtful. The increase in interest about these kinds of tourist activities is affecting the way animals live and behave in their natural habitat. Do not involve into close approaches to wild animals to get the best photos. Keep at an advised distance at all times and make sure not to pose a threat for living animals in the area visiting. Make sure to think about some sensitive times during their life cycle. Some of them are nesting season when animals need their peace and don’t want any disturbances. Afrigalah’s misson is to introduce African wildlife to people. Since Africa is the continent with the greatest scale of wildlife diversity – there’s plenty to talk and write about. We deeply believe Africa is way more that stunning sunset photos in the savannas. And that is what we want to show you in our Blog. Our dear travelers, explorers and columnists are working very hard to deliver you the best raw experiences they experienced during their travels. Our articles are written according to real life experiences we got during our trips and excursions in Africa. We are trying to introduce you with different kinds of animals who live there and inhabit all parts of the wonderful continent. There is a great rate of endangered species who are simply as stunning and as beautiful as in the photos. We will lead you through our daily trips and jungle adventures. We usually do kayaking through the waters of Africa. It’s mostly in the equatorial part of the continent where it’s more suitable. We find that kind of excursions very relaxing for both our bodies and mind. The most spectacular animals we get to see while we’re on our visit to the Jungle. That’s where all the magnificent animals life. When you combine that with the diverse and beautiful flora you find there – the experience is complete. You must note that traveling through Jungle is not always an easy task. It’s thrilling and you should always take god care and pay attention. Potential threats and danger lie everywhere. You should never go for your first Jungle trip alone. There are many agencies and stand alone tour guides who will help you get the best of your visit. Make sure to ask them for help. You can get some very good deals if you do your research on time.